A college, university, or technical school education is increasingly recognized as a very real option for many young people on the autism spectrum (Adreon & Durocher, 2007; Briel & Getzel, 2009). This includes many who are described as having “intellectual impairments” (Hart, Grigal, & Weir, 2010). Although we do not know the exact number of people with ASD who attend college or graduate, we do know that most do not participate in post-secondary education (Briel & Getziel, 2009), often making it difficult for them to achieve their career and life goals. For students with disabilities, college is very different from high school in a number of ways. The biggest difference may be that the school is no longer responsible for identifying students who need supports or accommodations. Colleges typically provide accommodations only if they are specifically requested by a student. As a result, students with ASD may need to learn the self-advocacy skills so that they can take the lead in requesting accommodations and other supports. As students with ASD explore postsecondary options, it is important to remember that schools vary in both the quantity and quality of supports they provide. Some schools may be a much better fit than others. Before making a decision, students and their families should try to find out something about the kinds of supports that schools provide to students with disabilities, especially those with ASD. It may be especially helpful to learn what the experiences of other students on the spectrum have been. Adreon, D., & Durocher, J. S. (2007). Evaluating the college transition needs of individuals with high-functioning autism spectrum disorders. Intervention in School & Clinic, 42(5), 271-279. Briel, L. W., & Getzel, E. E. (2009). Postsecondary options for students with autism. In P. Wehman, M. D. Smith & C. Schall (Eds. ), Autism and the transition to adulthood: Success beyond the classroom (pp. 189-207). Baltimore, MD: Paul H. Brookes. Camarena, P. M., & Sarigiani, P. A. (2009). Postsecondary educational aspirations of high-functioning adolescents with autism spectrum disorders and their parents. Focus on Autism & Other Developmental Disabilities, 24(2), 115-128. Getzel, E., & Briel, L. (2006). Pursuing postsecondary education opportunities for individuals with disabilities. In P. Wehman (Ed. ), Life beyond the classroom: Transition strategies for young people with disabilities (pp. 355-368). Baltimore: Paul H. Brookes. Friedman, S. (2010). Developing college skills in students with autism and Asperger’s Syndrome. London, UK: Jessica Kinglsey Publishers. Glennon, T. J. (2001). The stress of the university experience for students with Asperger syndrome. Work, 17(3), 183. Harpur, J., Lawlor, M., & Fitzgerald, M. (2004). Succeeding in college with Asperger syndrome: a student guide. London: Jessica Kingsley Publishers. Hart, D., Grigal, M., & Weir, C. (2010). Expanding the paradigm: Postsecondary education options for individuals with autism spectrum disorder and intellectual disabilities. Focus on Autism and Other Developmental Disabilities, 25(3), 134-150. Jennes-Coussens, M., Magill-Evans, J., & Koning, C. (2006). The quality of life of young men with Asperger syndrome: A brief report. Autism, 10(4), 403-414. Palmer, A. (2006). Realizing the college dream with autism or Asperger Syndrome: A parent’s guide to success. London: Jessica Kingsley Publishers. Prince-Hughes. (2002). Aquamarine blue: 5 personal stories of college students with autism. Athens, OH: Swallow Press. Taylor, M. J. (2006). Teaching students with autistic spectrum disorders in HE. Education and Training, 47(7), 484-495. VanBergeijk, E., Klin, A., & Volkmar, F. (2008). Supporting more able students on the autism spectrum: College and beyond. Journal of Autism & Developmental Disorders, 38(7), 1359-1370. Date posted: March 29, 2011. Content created by The University of Maine Center for Community Inclusion and Disability Studies. Last updated: April 26, 2018. 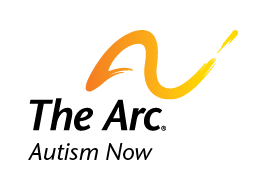 Find similar content about: Autism 101, Education.